And people used to think that only Apple could create this much hype and consumer activity around a phone launch. 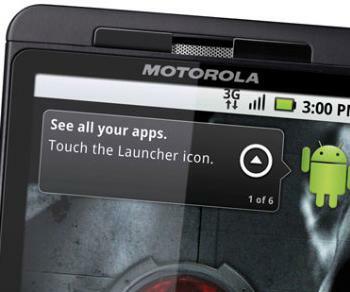 To the contrary, the Droid X which came out yesterday is now sold out in nearly every location that was to carry it around the country. It is completely sold out online, and in the many Best Buy and Verizon stores around the US, the phone is 100% out of stock. All of this on the back of Verizon promising the world that they would have more than enough phones for sale on launch day. It seems that the extensive stock of the phones that were on hand just did not keep pace with shopper demand.